My friend sent me a great Hello Fresh discount code that I could not resist so I put in an order for a weekly box from Hello Fresh. 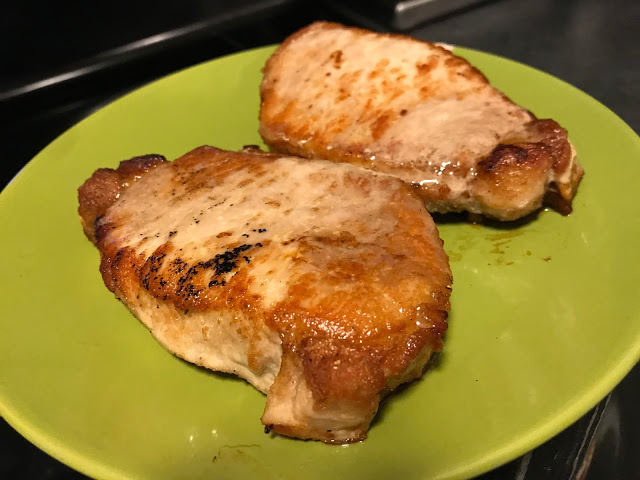 I figured, at the very least, that I would get some creative new meal ideas for the week and take a little work off of the weekly grocery shopping and meal prep. 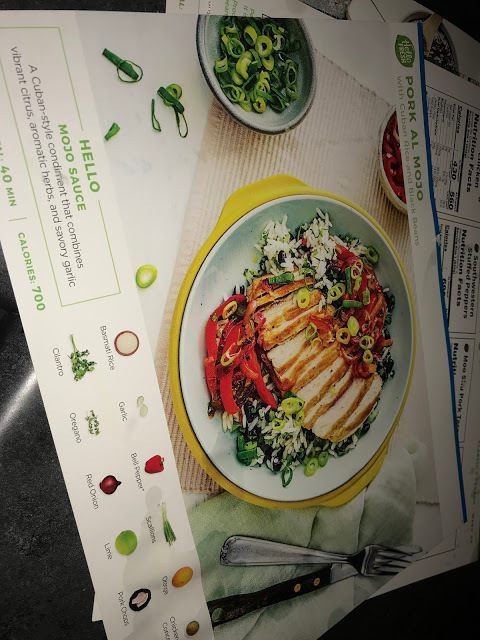 I loved Hello Fresh right away because it has a variety of options, including gluten-free and vegetarian. I am not vegetarian but I am gluten free due to my autoimmune disease and I know that it can be hard to find these types of plans with options for vegetarian and gluten-free homes. I chose 4 of their gluten-free options for the week. I want to share my first meal experience today. I cooked the Pork Al Mojo that was a mix of sweet and zesty beans and rice. I LOVED it. 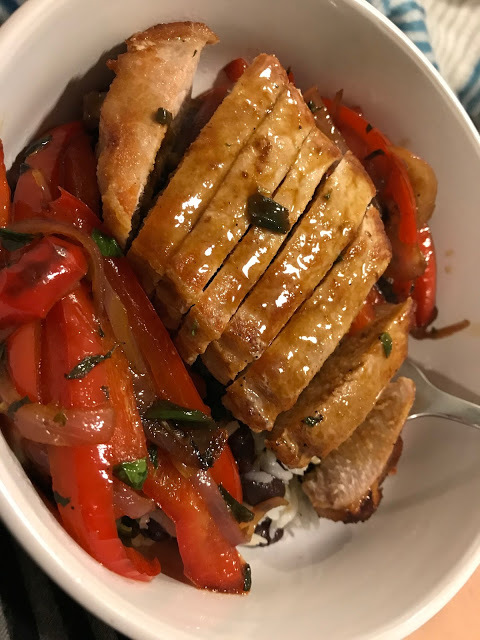 It tasted SO healthy and was quick and easy to cook, completing it in about 30 minutes. That’s what I need! 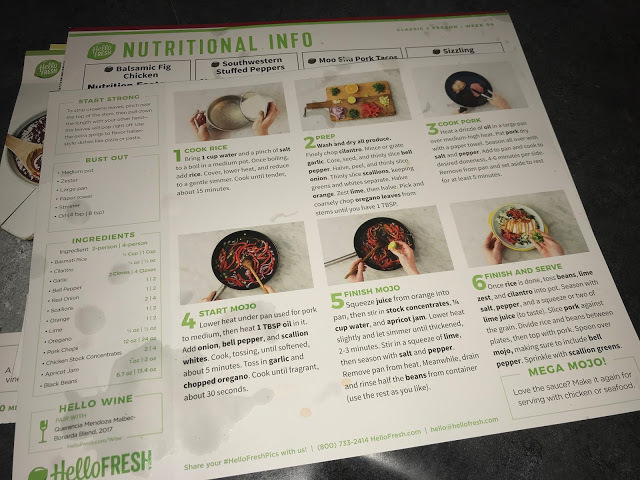 Each box comes with a recipe card that has a picture of the meal on the front and the list of ingredients along the bottom. On the back, you can see the list of instructions. They’re all really easy. 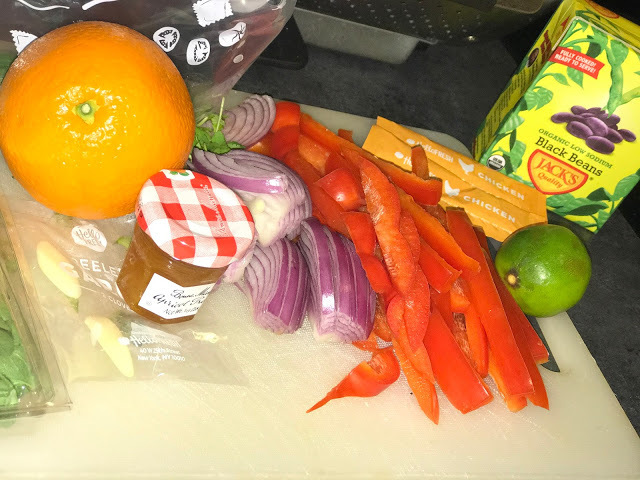 Here’s my ingredients all prepped and ready for my pan! How simple is this?! In progress and the final product. Overall, I was happy with this gluten-free option. 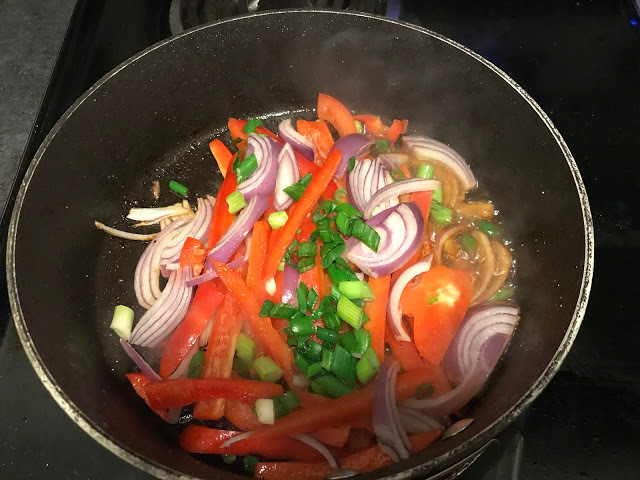 You definitely feel like you’re eating healthy but it takes so much of the work off of your plate that it makes eating healthy quick, easy and breaks you out of any food prep rut you’re in. 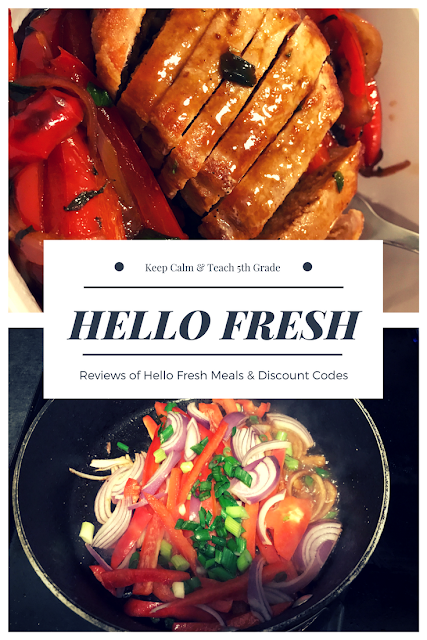 Want to get $40 off of Hello Fresh for a week (I’ll get $20 too when you sign up). Head on over here to get started!